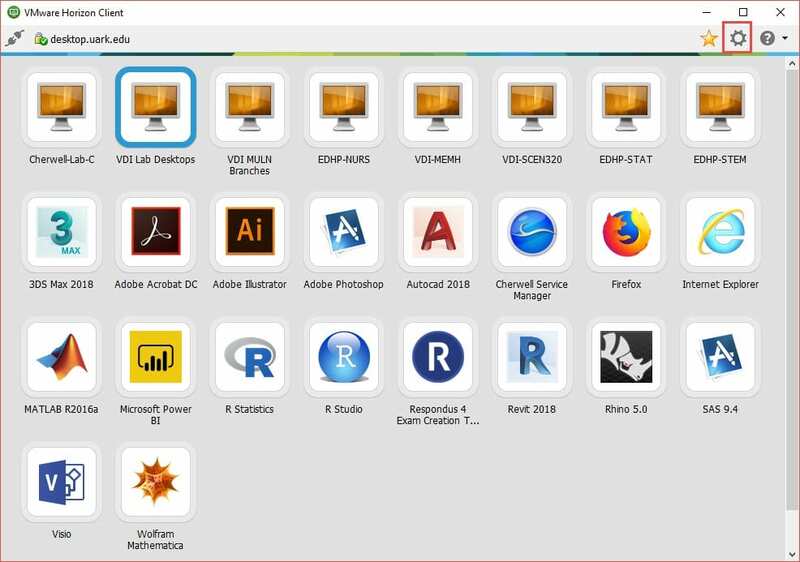 The University offers several software programs in our virtual enviroment (VDI, Virtual Labs, etc.). You can also access several of these remotely on your own computer. However, sometimes you cannot access your files that are on your personal computer. Read here to learn how to access local files from your computer in the virtual environment. Visit the IT Services page for instructions on how to access the remote virtual labs. Launch “VMware Horizon Client” from your computer and connect to desktop.uark.edu or go to apps.uark.edu and log in to the program you want to use. 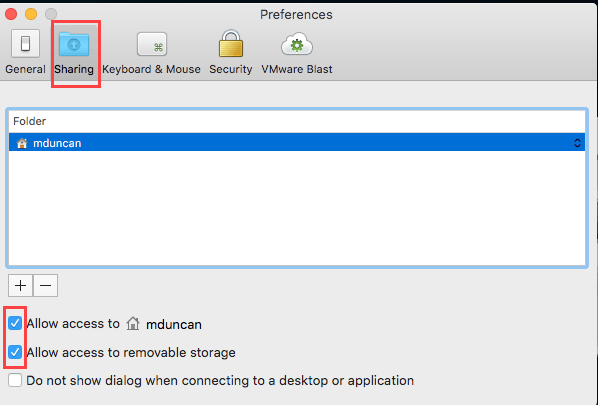 Click the VMware menu in top left. Click the settings icon in the top right. 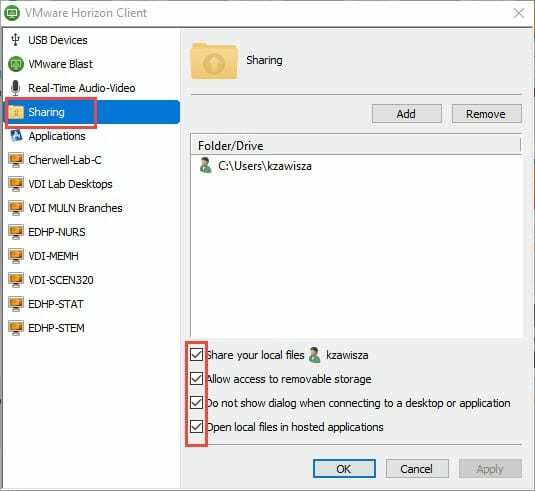 Select Sharing on the left menu and Check the four boxes to allow file sharing.